Making the shift to Paleo diet is never easy because the truth is, it requires every day decision. 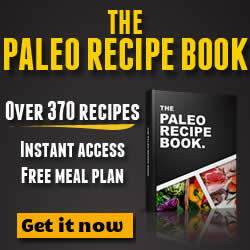 In the effort to help you transition to Paleo diet easily as well as embrace Paleo diet food recipes, let us take time and understand how human eating psychology plays a role in the choices we make. We have been taught that good nutrition means choosing the right food and taking in certain supplements. Of course, we are not here to disprove this, as this is a widely accepted fact. However, there is certainly more to the equation than this. What we feed our body is only half of the story. 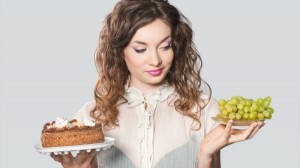 What we think, believe and feel significantly influences our eating habits and the food choices we make. It is for this reason that we accept the fact that transitioning to Paleo diet is a very personal journey, something that should not be compared to others. The amount of stress we deal with, the inner stories we believe and tell ourselves, the level of awareness is just some of the factors that also play an integral role in human nutritional metabolism. The body profoundly impacts the mind and vice versa. With this in mind, in order to fully commit to Paleo diet or any healthy lifestyle of your choice, it is important that change should not be limited to the choices of food, you as an eater should also make that mental and emotional change. If you have watched a number of weight loss TV programs, breakthroughs do not only happen by the change of diet, but it is a recognized fact that eating psychology also plays a very critical factor. It is actually quite fascinating how fear, stress, anger or any negative emption can trigger a physiologic response in the body. With the fight or flight reaction, the body releases more insulin and cortisol in response to perceived stress or threat. These two hormones carry an adverse effect of signalling the body to store weight, fat as well as stop building muscles. Stress can lessen the body’s calorie burning capacity when it is constantly under stress. What is truly incredible is that laughter, engaging in pleasurable activities and proper breathing can help the body ease into a state of relaxation, which aids optimal calorie burning capability. With this in mind, when adapting Paleo diet, make sure to change your perception. Most people are stressed at the mere thought of making a healthy shift. Paleo diet is not about making sacrifices, but is more about embracing smarter and healthier food choices and taking better control of your health. People who eat while suffering from stress or anxiety often report cramping, gas, heartburn and stomach upset. With the fight or flight response, our nervous system is wired to support us during life-threatening situations. Once the stress response is activated, the body’s digestive system shuts down and the body’s metabolic energy is directed towards supporting the body’s survival. What does this mean? Even if you are eating the healthiest food when on a Paleo diet, you may not maximize its health benefits simply because your body is not in an optimum state of absorbing the nutrients. Learn to cultivate a relaxing and happy environment when eating. A lot of people who overeat do so simply because they don’t really “eat” what they eat. When eating, it is important that you are fully present to the meal in front of you and you are keenly aware of its taste and feeling the nourishing energy coursing through the body. Are you a fast eater? A lot of people seem to think that eating fast can also result to faster metabolism. This is actually the opposite. Try to eat in a leisurely manner to avoid the body from triggering a stress response in the body.